I want to talk to you about changing your thinking habits and changing your life. 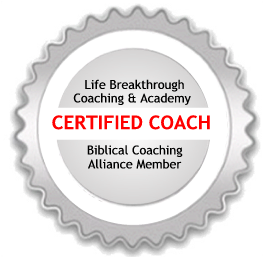 Many people come to me as a life coach because they feel a bit stuck in life. And often being stuck has a lot to do with their thinking and their beliefs. Sometimes my client’s perspective can be, “This is just who I am and this is just how I think. It’s always been this way and there’s nothing much that can be done about it.” That simply is not true. You can absolutely change your thinking and it does change your life. It used to be that we thought that there wasn’t a whole lot that could be done with a brain. But now, after years of research, we know that the neuropathways in our brains can change by intentionally changing our thoughts. So, you and I have thinking habits. We have repetitive ways of thinking and sometimes our thinking habits are good. And sometimes not so good. Approximately 80% of our repetitive thoughts happen to be negative. But, the good news is we don’t have to live with all of this negativity mentally. We can interrupt the process, change our thinking and thus change our life. In the medical field, they now call it “psychoneuroimmunology”. Which basically is the field of study between our thoughts and our physical health. We now know that there is a huge interconnection between Our brains and our physical health. Our physical state can impact our mental state and our mental state can impact our physical state. For example, there are documented studies of people overcoming depression, physical limitations, and disabilities just by changing their thinking. So, how do we do that? How do we begin to develop some new thinking habits? I think it’s really important to tune in to our inner thoughts, our inner script or dialogue. What are we thinking? What are we telling ourselves? What’s the evidence that this is true? What would be a better way to think so we could get better results? In many ways it is like becoming your own “thought landlord”. I once heard Dr. Fred Luskin express it this way. If you were a landlord, would you rent out your space to thieves and thugs? Of course not. Then why do you rent out your mental space out to things such as anger, rage, negativity, or toxic thinking? You see part of living a great life is not being passive with your thinking, but being very active with it. And, in fact, becoming a landlord of your mental space, what you think, how you think, and even what you think about? Getting hold of your thinking is going to require some effort. It’s going to require tuning into your self-talk. It requires you not to be so passive mentally, but to challenge your thinking, interrupt your thinking and, more importantly, telling yourself the truth. If you’ll take some time with your thoughts and begin to tell yourself the truth, you will eventually turn your thinking around. More importantly, you will begin to develop those new and healthier thought loops or thinking habits. You absolutely can control the way you think. And if your life is going to go in the direction of your thinking, then it’s certainly very important to change the way you think. It will, in turn, also improve your self-talk. And better yet, it’s definitely worth the effort.